Hello, Jane here today with an invite to come and join the fun with this week’s theme challenge at the O. We’d love to see your pages with a beach/lake/poolside theme. Best of all, you could win a kit from the July collection Beyond the Sea. 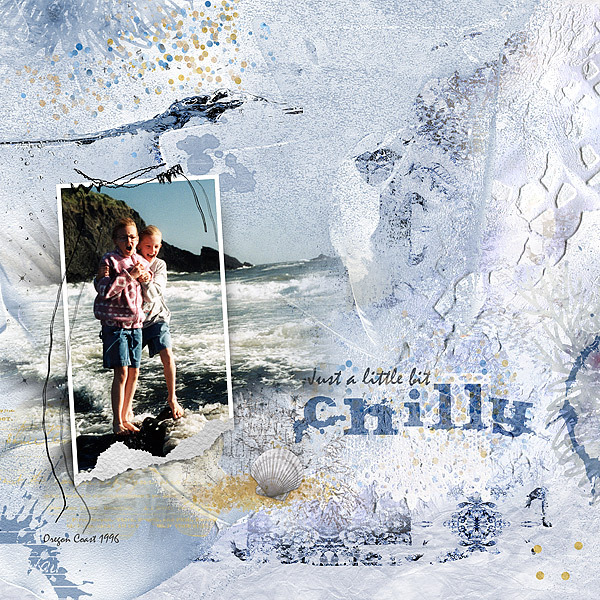 I used the Beyond the Sea collection to create my page which shows my girls on a trip down the Oregon coast to California back in 1996 and, yes, this was the middle of summer!!! !